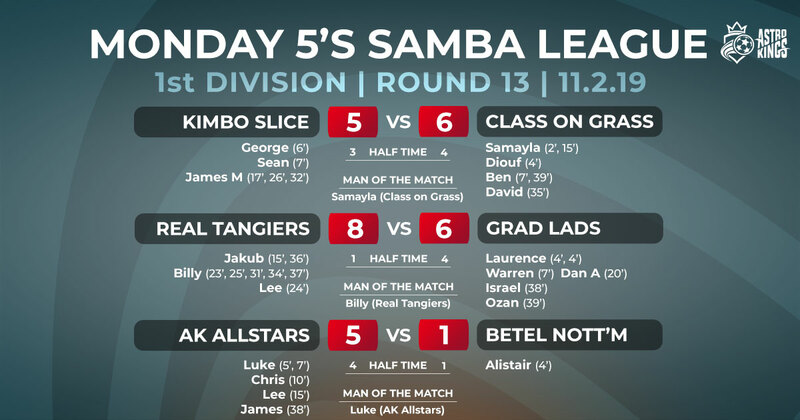 Some great 5-a-side action this week on Nottingham’s best surface. 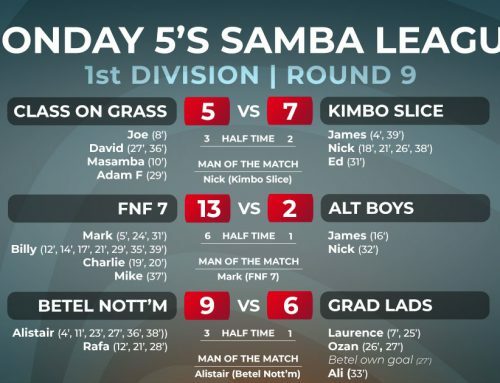 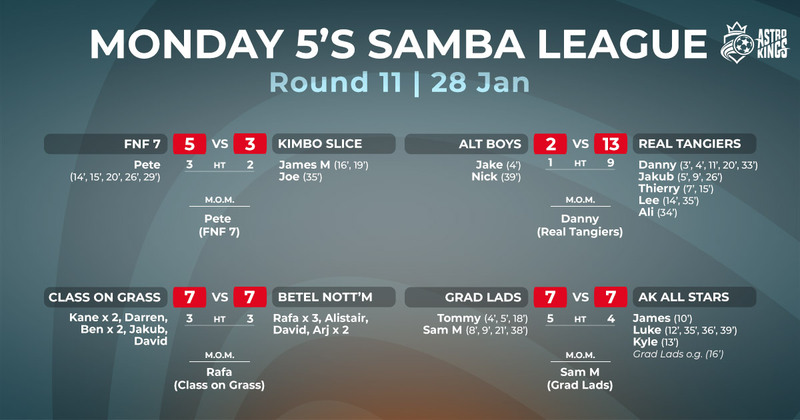 Class on Grass won their first game from their last six, against Kimbo Slice, who are now just two points ahead of them in the league. 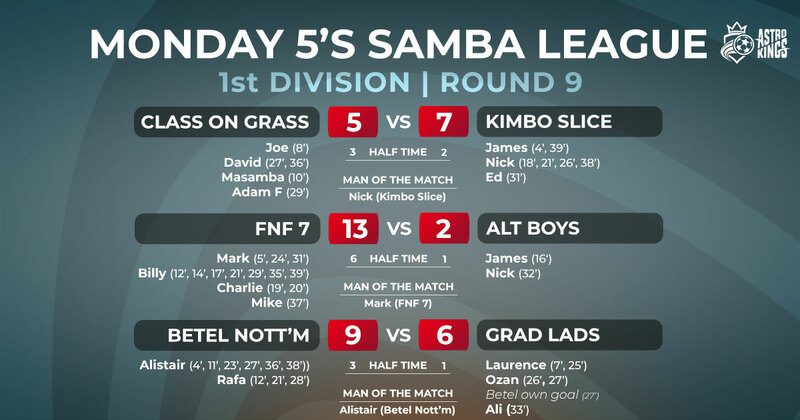 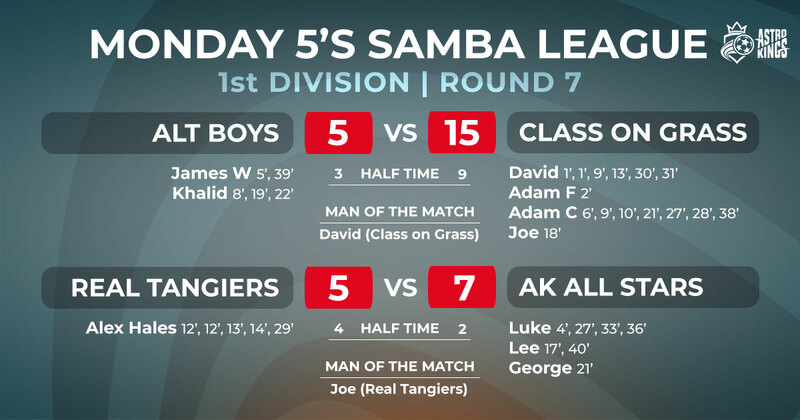 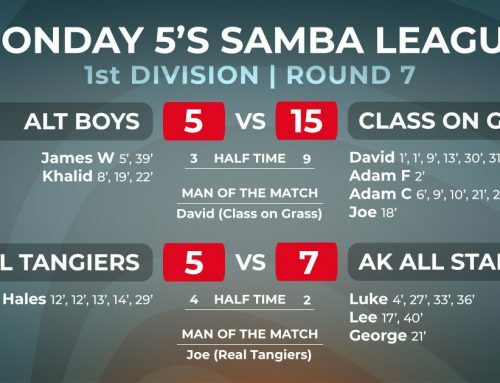 Despite a James Mortimer hat-trick for Kimbo, it wasn’t enough to take points from Class who showcased some exciting new signings this week. 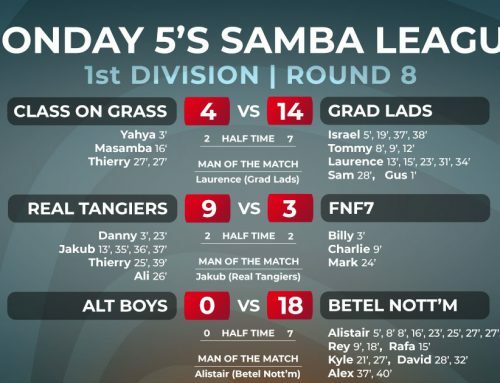 Real Tangiers produced an epic comeback against Grad Lads, who were beating them four-one before the break. 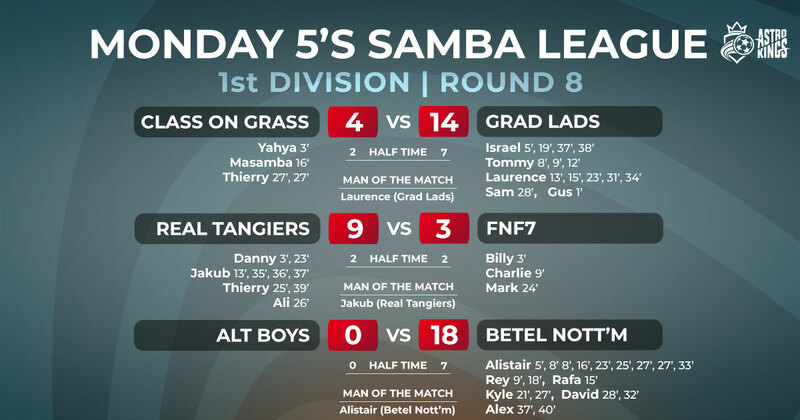 Finishing the game eight-six, they now trail league leaders FNF 7 by just 6 points, with two games left. 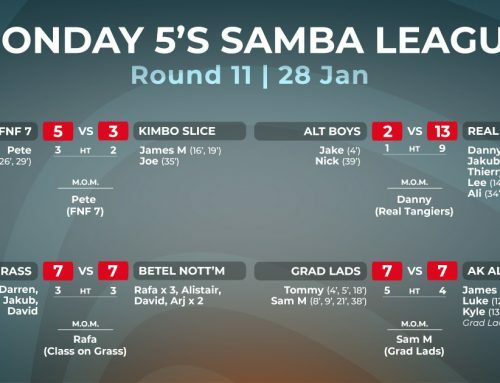 It could go down to the wire. 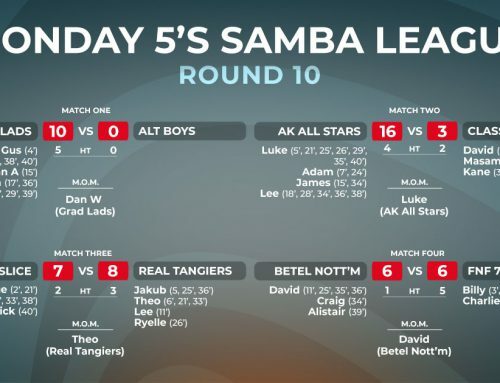 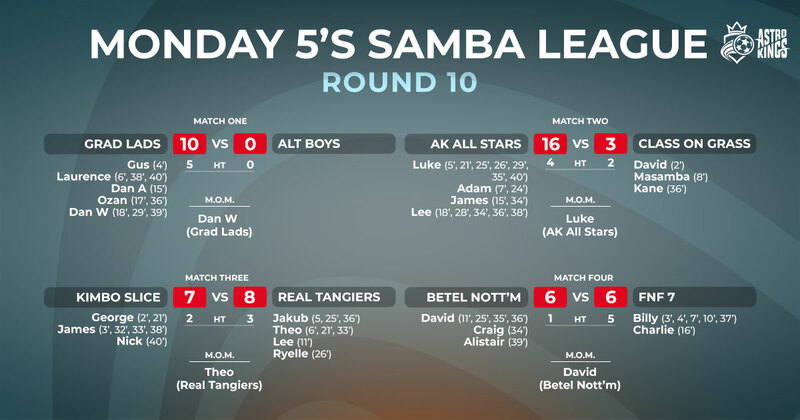 Elsewhere AK All Stars beat Betel Nottingham, who were both on 17 points before the game, meaning AK move up a place into third.